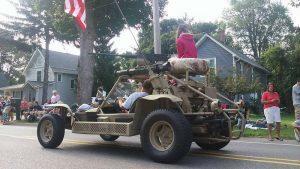 It is not a festival without a great parade and we certainly have a great parade. Bands, school sports teams, community activity groups, equine units, antique cars and trucks, along with numerous local businesses and government officials. You will want to bring a chair to have a front row seat as the parade travels from the Fire Station east on West Main to Logan Street, South to Washington, east to Franklin, then north to Madison and then west to Scott Street. If you plan to distribute candy or merchandise please be respectful and do not throw anything into the crowd. This is a safety issue. You must hand the candy and/or merchandise directly to people. 10:00 AM, Saturday, August 17th, 2019. 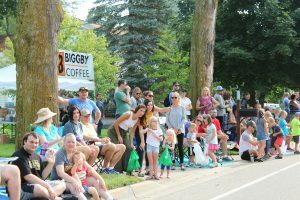 Parking along the parade route is prohibited and is strictly enforced by DeWitt City Police beginning at 8:30 AM.